States and school districts across the United States have reported grappling with teacher shortages. 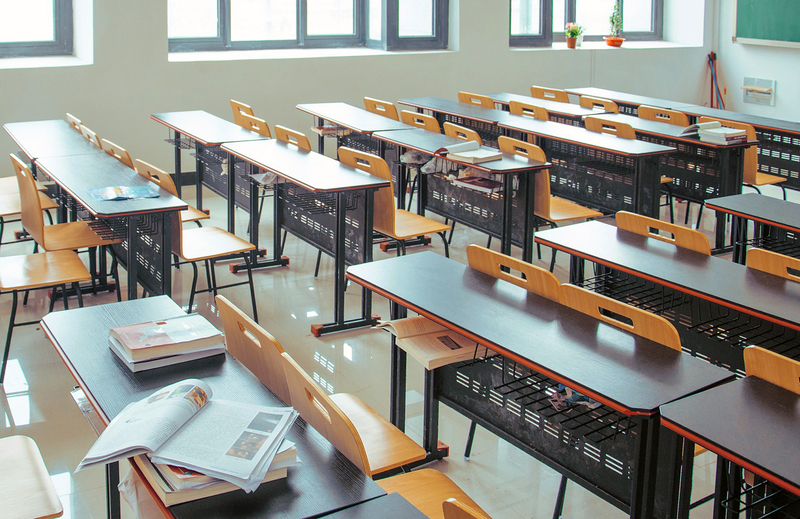 Teacher preparation program enrollments and graduates have dropped at the national level, while the number of public school students has steadily risen. Teacher labor markets, however, differ greatly from state to state as well as between communities. Even within localities, certain subject areas or types of schools face starker challenges in training, hiring, and retaining teachers. For these reasons, the Rockefeller Institute of Government, the public policy research think tank for the State University of New York, is examining trends and patterns in teacher supply and demand in a series of state reports to inform state as well as national policies aimed at ensuring an adequate supply of qualified teachers for all communities and Pre-K-12 students. This report, which focuses on Virginia, is the third in the series; the first two examined teacher labor markets in New York and South Dakota. Virginia’s teacher workforce faces real challenges. Prekindergarten through twelfth grade student enrollment has increased at twice the national rate of enrollment growth since 2000. The proportion of students requiring supplemental services and instruction, especially economically disadvantaged students and English language learners, has grown even faster. Also, different regions of the state have experienced very different changes in enrollment, a dynamic that could require large and rapid shifts in the geographical distribution of teachers. Running counter to the national trend, in which the number of graduates from teacher education programs in the US fell by 28 percent between 2009 and 2016, the number of graduates from the Commonwealth’s teacher preparation programs increased by 11.0 percent over the same seven years. At the same time, Virginia’s teacher pipeline has grown. Running counter to the national trend, in which the number of graduates from teacher education programs in the US fell by 28 percent between 2009 and 2016, the number of graduates from the Commonwealth’s teacher preparation programs increased by 11.0 percent over the same seven years. Student-to-teacher ratios actually declined in recent years, from nearly 12. students per teacher in 2002 to about 12.0 in 2016.6 This decline reflects the fact that growth in the number of teachers statewide outpaced the growth in Virginia students since 2002. However, despite the increase in teacher candidates, the state has reported a high proportion of vacancies in teacher positions; and although the number of students with special education needs has not grown appreciably in recent years, Virginia has repeatedly reported to the federal government that its schools are experiencing shortages in teachers with appropriate preparation in special education. However, despite the increase in teacher candidates, the state has reported a high proportion of vacancies in teacher positions. In addition, Virginia exhibits large differences within the state regarding access to well-qualified teachers. Teacher vacancies, turnover in teaching positions, and teacher qualifications vary substantially across regions and school districts (called “divisions” in the state) within Virginia, resulting in pockets of shortage, particularly in regions of the state with higher rates of poverty. As we found in our prior analyses of New York and South Dakota, the local-level distribution of qualified teachers appears to be a less tractable problem than the overall, statewide balance between teachers and enrollments. To address these issues, the Virginia Department of Education has implemented several policies to encourage more people to pursue teaching careers, to ease the transition to certification for in-state and out-of-state educators, and to reward those who are willing to teach in subjects with serious shortages. Donald Boyd et al., “The Draw of Home: How Teachers’ Preferences for Proximity Disadvantage Urban Schools,” Journal of Policy Analysis and Management 24, 1 (2005): 113-32. James Cowan et al., “Missing Elements in the Discussion of Teacher Shortages,” Educational Researcher 45, 8 (2016): 460-2. This student-to-teacher ratio includes guidance counselors and librarians.